For once a bot replied to one of my tweets that didn’t make me want to gouge my eyes out with a sharpie cap. If you tweet at all, you must get them. Mention sausage: sausage spam! Mention TV: TV spam! Mention spam: spam spam! But this bot was different. 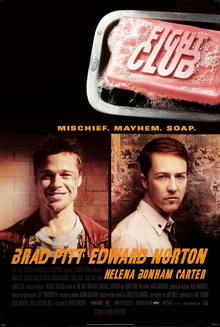 I casually likened something to Fight Club. @IAmJacksBot gives me a partial briefing on the rules of Fight Club, which I am apparently violating. If you want in, just use the phrase “fight club” in a tweet (clicking the retweet button under the post will suffice) and get some nice quotes for your trouble. Thanks for the blog post about my latest twitter creation. I’m glad that you liked it enough to take the time to blog about it. The bot hasn’t even been live 24 hours yet! This bot, and others like it, have been a lot of fun to work on, and a great way to experiement with Python and the Twitter API. The reaction to this bit(and my other) bots have been overwhelmingly positive. Also, it was kind of cool to hear it referred to as a Twitter easter egg. It’s barely 6AM here and you’ve already made my day. Thanks! Still 4 more bots out there for you to find!